Once the competition is over, the success of GC2018 will be determined by the long term legacy the event has delivered. This RAP is the culmination of a range of actions identified by GOLDOC and OCG with the support of Games Partners and other Government agencies. As planning progresses towards 2018, this RAP will evolve and be updated to reflect initiatives for Aboriginal and Torres Strait Islander peoples. Through this approach, this RAP will ensure Aboriginal and Torres Strait Islander peoples are provided with meaningful opportunities to participate in GC2018, extending beyond the traditional inclusion of culture within the Opening Ceremonies, and contributing towards positive lasting legacy for Aboriginal and Torres Strait Islander peoples. A RAP is structured around the three pillars of Opportunities, Relationships and Respect. As the largest international sporting event in Australia for more than a decade, GC2018 provides the opportunity to create genuine participation through employment and procurement opportunities for Aboriginal and Torres Strait Islander peoples and businesses. Opportunities relating to GC2018 extend across Games Partners in areas such as employment, procurement, sports participation, education, language and cultural awareness. Develop the capacity of Aboriginal and Torres Strait Islander businesses. Build the capacity of Aboriginal and Torres Strait Islander businesses to leverage opportunities associated with GC2018. Engage with Indigenous Chambers of Commerce and key stakeholders to increase capacity and tendering opportunities of Aboriginal and Torres Strait Islander businesses. increase capacity of Indigenous Art Centres to produce high quality artistic outcomes. Develop partnerships to support Aboriginal and Torres Strait Islander businesses to secure GC2018 procurement opportunities. Embed strategies to support Aboriginal and Torres Strait Islander businesses to secure economic outcomes within GOLDOC. Promote GC2018 opportunities identified by GOLDOC to raise awareness amongst Aboriginal and Torres Strait Islander businesses. Give further consideration to processes which boost the procurement outcomes for Aboriginal and Torres Strait Islander peoples and to align with the Queensland Indigenous Procurement Policy (under development). Continue to promote procurement opportunities to Aboriginal and Torres Strait Islander businesses. Embed strategies to deliver economic outcomes for Aboriginal and Torres Strait Islander people. Embed strategies to lead the Government’s coordination to secure procurement, employment and training outcomes for Aboriginal and Torres Strait Islander people associated with GOLDOC and across Games Partners. Identify suitable opportunities within OCG to support procurement outcomes for Aboriginal and Torres Strait Islander businesses. Promote GC2018 opportunities identified by GOLDOC for Aboriginal and Torres Strait Islander businesses. Incorporate an Aboriginal and Torres Strait Islander procurement strategy within GOLDOC’s Local Industry Participation Plan. Continue to promote membership of Supply Nation with internal stakeholders. Embed supply chain strategies to support capable Aboriginal and Torres Strait Islander businesses to secure GC2018 opportunities. Promote GC2018 opportunities to Aboriginal and Torres Strait Islander businesses. Support employment, training and procurement outcomes within the Commonwealth Games Village. Support Aboriginal and Torres Strait Islander peoples in partnership with Grocon and Yourtown to secure employment and training outcomes on the Commonwealth Games Village. Monitor and promote all economic benefits across GC2018 venues as part of Commonwealth Games Village. Promote case studies of Aboriginal and Torres Strait Islander individuals and/or businesses working on the GC2018 venue construction projects. Embed Aboriginal and Torres Strait Islander employment policies and procedures. Engage with existing Aboriginal and Torres Strait Islander staff to consult on employment strategies. Support activities to promote internship opportunities at GOLDOC by promoting internship opportunities through the Griffith University Indigenous Support Unit. Ensure GOLDOC employment advertisements include statement ‘Aboriginal and Torres Strait Islander peoples are encouraged to apply’. Engage with experts (e.g. Aboriginal and Torres Strait Islander job network agencies) to build talent pools of Aboriginal and Torres Strait Islander candidates. Embed culturally appropriate recruitment and selection processes to mitigate potential barriers to employment at GOLDOC. Promote supply chain strategies to support Aboriginal and Torres Strait Islander employment through GC2018 contract opportunities. Engage Aboriginal and Torres Strait Islander young people through GC2018. Liaise with DJAG to facilitate inclusive initiatives to engage Aboriginal and Torres Strait Islander young people within Juvenile Detention Centres. Facilitate opportunities through the Embracing 2018 Global Education Program to include Aboriginal and Torres Strait Islander students across Queensland to participate in GC2018 activities led by GOLDOC. Support employment opportunities for Aboriginal and Torres Strait Islander people. Develop initiatives to facilitate employment prospects through GC2018. Increase OCG’s Aboriginal and Torres Strait Islander workforce to 5%. Implement coaching and mentoring programs for Aboriginal and Torres Strait Islander employees under a broad leadership program. Create and deliver an internship program to support five (5) Aboriginal and Torres Strait Islander University students gain experience within OCG. Support economic outcomes for Aboriginal and Torres Strait Islander peoples with Games Partners. Support Aboriginal and Torres Strait Islander people to have access to quality training programs to address employment and business demands identified through GC2018. Embed opportunities for Aboriginal and Torres Strait Islander businesses. Develop at least six (6) commercial relationships (either directly or via sub contract) with Aboriginal and Torres Strait Islander businesses each year. Showcase Aboriginal and Torres Strait Islander Arts and Culture throughout GC2018. Showcase Aboriginal and Torres Strait Islander arts and culture in GC2018s Ceremonies and Festival 2018 program. Showcase Aboriginal and Torres Strait Islander cultures to the world through the GC2018 Ceremonies and Festival 2018 program. Facilitate opportunities for Aboriginal and Torres Strait Islander artists to participate in the GC2018 Ceremonies and Festival 2018 program. Engage Arts Statutory Bodies and Shareholder Companies such as Aboriginal Centre for Performing Arts (ACPA) to identify opportunities which strengthen connections between their programming and the GC2018 cultural program. Promote Aboriginal and Torres Strait Islander Tourism Operators. Integrate Aboriginal and Torres Strait Islander Tourism offerings into the GC2018 Tourism Marketing Strategy and identified opportunities. Increase Aboriginal and Torres Strait Islander volunteer representation at GC2018. Incorporate appropriate candidate attraction, recruitment and selection processes, and volunteer support initiatives into the over-arching Volunteer Strategy. Explore opportunities to engage with Aboriginal and Torres Strait Islander organisations and stakeholders to assist with recruitment of volunteers. Consult with GOLDOC RAP team to ensure the GC2018 volunteer recruitment application and screening process is culturally appropriate. Continue to ensure GC2018 Volunteer Advisory Panel includes Aboriginal and/or Torres Strait Islander representation. Continue to ensure Aboriginal and Torres Strait Islander representation is provided into the GOLDOC Volunteer Program Area to contribute to the planning, writing and execution of community engagement RAP initiatives. Encourage similar uptake of Aboriginal and Torres Strait Islander volunteers in the City Volunteer strategy. Provide healthy active lifestyle opportunities for Aboriginal and Torres Strait Islander peoples. Support/implement/and partner with Games Partners, Queensland Government Agencies and key stakeholders to encourage more Aboriginal and Torres Strait Islander children and adults to participate in sport and active lifestyle choices.  Facilitate initiatives to include Aboriginal and Torres Strait Islander people within the Legacy Program supported by the Federal Government. Building lasting, meaningful relationships with Aboriginal and Torres Strait Islander peoples and sharing their cultures and experiences is integral to the successful delivery of GC2018. GC2018, as the largest major event the nation will experience in a decade, will aim for tangible success through building, growing and valuing stronger relationships with Aboriginal and Torres Strait Islander peoples and community. Actively monitor RAP development, progress and implementation. Embracing 2018 RAP Implementation Team to meet at least four (4) times per year to track, monitor and report on RAP implementation. Include the RAP as a standing agenda item in senior executive meetings. Ensure OCG senior management champion the RAP. Review and update the Embracing 2018 RAP Implementation Team Terms of Reference per annum. Ensure at least 80% of the Indigenous Working Group (IWG) comprise of Aboriginal and Torres Strait Islander peoples. IWG to meet at least six (6) times per year to monitor and report on the RAP implementation. Ensure GOLDOC senior management champion the RAP. Review and update IWG Terms of Reference. Yugambeh Elders Advisory Group (YEAG) to provide advice and input into the development, endorsement and launch of the RAP. YEAG to meet at least four (4) times per year to provide support and guidance into the RAP implementation. Deliver ongoing engagement with Aboriginal and Torres Strait Islander stakeholders to identify legacy opportunities within GC2018. Host regular community information sessions in Brisbane, Cairns and Townsville to provide update on progress of planning, including implementation of GC2018 activities. Deliver communication tools to assist the Aboriginal and Torres Strait Islander community to engage in GC2018 activities. Promote GC2018 activities through key stakeholders to encourage the participation of Aboriginal and Torres Strait Islander peoples in the appropriate opportunities. Implement strategic engagement plans to raise awareness of key GC2018 activities. Embed inclusive engagement strategies for Aboriginal and Torres Strait Islander communities. Promote GC2018 activities through Local Indigenous Councils and the 25 Indigenous Knowledge Centres. Promote OCG’s Word of the Week campaign to external stakeholders. Develop, maintain and leverage mutually beneficial relationships with Aboriginal and Torres Strait Islander peoples, communities and organisations to support positive outcomes. Engage Aboriginal and Torres Strait Islander stakeholders to assist with implementing RAP initiatives.  Organise at least four (4) community information sessions on the Gold Coast to provide update on progress of planning, including implementation of GOLDOC activities.  Commit to establishing five (5) formal two-way partnerships relevant to GOLDOC’s sphere of influence. Explore joint ventures, partnership, pro bono, employment, education, health, secondment/community capacity opportunities. Continue to seek input and advice through regular consultation with Gold Coast Aboriginal and Torres Strait Islander community. Implement an engagement plan to work with Aboriginal and Torres Strait Islander stakeholders (including respectful protocols). GOLDOC Executive Management to hold at least two (2) Executive Team meetings per year on the premises of a local Aboriginal and Torres Strait Islander partner/business. Ensure the GC2018 arts and cultural program continue to engage with Aboriginal and Torres Strait Islander communities. Raise external awareness of the RAP and promote reconciliation. Encourage Games Partners and Queensland Government agencies to promote the GC2018 RAP. Raise awareness of GC2018 RAP by promoting reconciliation across the department’s portfolio. Profile Aboriginal and Torres Strait Islander athletes’ participation in GC2018 via internal and external media channels. Communicate GC2018 RAP to all external stakeholders, sponsors and sphere of influence. Encourage all GOLDOC stakeholders to develop a RAP, such as affiliated QLD State Government Departments, corporate partners/sponsors and other stakeholders. Promote message of reconciliation through ongoing active engagement with all stakeholders. Celebrate NRW to strengthen and maintain relationships between Aboriginal and Torres Strait Islander peoples and other Australians. Organise one internal NRW event each year. Register NRW events via Reconciliation Australia’s NRW website. Encourage and support staff to participate in at least one external event to recognise and celebrate NRW. OCG to support Games Partners to celebrate NRW within their agency. OCG to develop and share resources to encourage all Queensland Government Agencies to celebrate NRW. Invite an external Aboriginal and Torres Strait Islander community member to share their experiences and stories with OCG and GOLDOC staff. OCG to facilitate one external NRW event each year. GOLDOC to support one external NRW event each year. Encourage key stakeholders to celebrate NRW event each year and register their events via Reconciliation Australia’s website. Encourage Local Governments (engaged with GC2018) to participate in Reconciliation Australia’s RAP Program. Promote the GC2018 RAP commitments to support the goals of Reconciliation Australia’s RAP Program. Distribute information to Local Governments about Reconciliation and RAP Program from the GOLDOC CEO. Reference the RAP in the MOU with each of the event cities. Showcase Aboriginal and Torres Strait Islander participation in Commonwealth Games. Promote unsung heroes and former Commonwealth Games athletes through an exhibition. Stimulate participation in GC2018 through the Indigenous Councils, and the 25 Indigenous Knowledge Centres operated by the Councils. Celebrate and promote GC2018 stories of Aboriginal and Torres Strait Islander cultures, history and achievements on Arts Queensland’s website and social media channels. Develop and implement a plan to integrate messaging and celebrating of Aboriginal and Torres Strait Islander participation in GC2018 through internal and external communications. Encourage GC2018 sponsors marketing activations as relevant to develop a RAP of their own. Invite Aboriginal and Torres Strait Islander sports people to talk at GC2018 events. Explore opportunities to promote Aboriginal and Torres Strait Islander participation in GC2018 with the Commonwealth Games Federation (CGF). Establish a mechanism to connect the local Yugambeh Language Group people of the Gold Coast to Commonwealth Games Associations (CGA’s) providing an avenue for welcome and to share their own unique cultures and heritage. Acknowledge and promote history of past, current and future Aboriginal and Torres Strait Islander athletes at Commonwealth Games through marketing and communications mediums. Encourage state-schools in the Embracing 2018 Global Education Program to undertake Aboriginal and Torres Strait Islander engagement activities. Utilise the Embracing 2018 Global Education Program to encourage state-schools to access support strategies to enhance reconciliation. Develop resources for state-schools participating in the Embracing 2018 Global Education Program to support their engagement with the Aboriginal and Torres Strait Islander community. Promote goods news stories from schools engagement with their local Aboriginal and Torres Strait Islander community to encourage other schools to participate. Encourage schools in the Embracing 2018 Global Education Program and GC2018 Schools Connect Program to participate in Reconciliation Australia’s Narragunnawali: Reconciliation in Schools and Early Learning. Promote and distribute Narragunnawali: Reconciliation in Schools and Early Learning Program, through the Embracing 2018 Global Education Program, GC2018 Schools Connect Program and the Embracing 2018 State-Wide Working Groups. Endorse Narragunnawali; Reconciliation in Schools and Early Learning, as the principle program driving reconciliation in the education setting. Increase knowledge and understanding of Aboriginal and Torres Strait Islander cultures, histories and achievements within OCG and GOLDOC. Engage 100% of OCG staff in Reflect, Respect and Yarn – internal Cultural Awareness sessions. 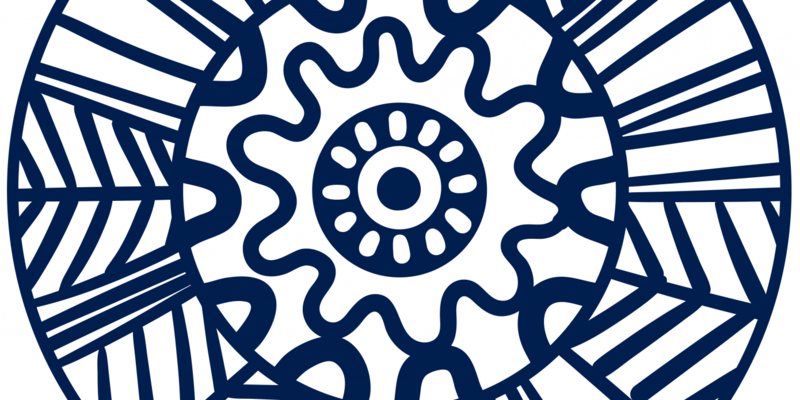 Support the department to deliver on its cultural capability plan. Monitor OCG’S Cultural Capability framework across key themes: Awareness, Capability, Immersion and Implement. Implement cultural learning activities to raise awareness of the event cities. Develop an online portal of resources to showcase Aboriginal and Torres Strait Islander cultures, histories and stories through GC2018 legacy initiatives. Display Aboriginal and Torres Strait Islander flags in OCG foyer areas. Procure an external Aboriginal and/or Torres Strait Islander service provider to facilitate Cultural Capability training to OCG and GOLDOC staff. Display Aboriginal and Torres Strait Islander artworks in OCG and GOLDOC foyer and office areas. Incorporate cultural awareness training for GOLDOC staff as an integral component of the strategy for employee development with consideration for a variety of training channels including online, face to face workshops and cultural immersion. Incorporate cultural awareness into the Training Strategy to ensure it is incorporated across all pillars of Games time training for staff and volunteers. 20% staff to undertake cultural workshop learning activities. 80% staff to undertake cultural learning activities. 50 GOLDOC Leaders to undertake cultural immersion by participating in learning activities. Entire GOLDOC Executive Management Team and all Functional Area (FA) Leads undertake cultural learning activities. All new staff to complete cultural awareness as part of induction. Ongoing initiatives to raise awareness of Aboriginal and Torres Strait Islander peoples cultures, history (including local history) with the wider community and international audience. Embed cultural protocol throughout GC2018 functions and activities. Install Acknowledgment of Country plaques in GOLDOC HQ Ron Clarke Building, and OCG foyer. Include Acknowledgement of Country at all public events and at the commencement of important internal meetings. Ensure Aboriginal and Torres Strait Islander cultural protocols specific to local communities are included within a protocol document. Ensure Aboriginal and Torres Strait Islander protocol is respected across GC2018 event cities. Develop cultural protocol resources to assist Games Partners to deliver respectful processes for Welcome to Country and Acknowledgement of Country. Support pre-event training teams to be welcomed by Traditional Custodians and/or the Aboriginal and Torres Strait Islander community within their host training location. Continue to encourage the use of GOLDOC cultural protocol document for Welcome to Country and Acknowledgement of Country. Invite local Traditional Custodians to provide a Welcome to Country at four (4) significant events each year. (These events will include milestone celebrations such as ‘years to go’ events and other significant events as determined by GOLDOC). Incorporate Acknowledgement of Country in GOLDOC’s communications, publications, and media including social media. Organise and display recognition of the “Jimbelung Games” within GOLDOC HQ - Ron Clarke Building. encourage Acknowledgement of Country and/or Welcome to Country as part of their official events. Celebrate NAIDOC week and provide opportunities for staff to participate in local NAIDOC week activities. Review HR policies and procedures to support staff to celebrate and participate in NAIDOC Week. Provide opportunities for staff to participate in local NAIDOC Week events. Hold an internal or public NAIDOC Week event. Encourage Games Partners and key stakeholders to celebrate/participate in NAIDOC week activities. Embed key messages for senior staff to acknowledge NAIDOC Week and its importance. Encourage all GC2018 Sponsor Family to participate in NAIDOC Week events in the local community. Support an external NAIDOC Week community event. Support National and/or local NAIDOC Week Committee. Demonstrate respect and raise awareness of Aboriginal and Torres Strait Islander peoples and their culture within the national and international audience. Promote 120 Aboriginal and Torres Strait Islander language words, as part of the ‘Word of the Week’ campaign. Showcase traditional Aboriginal and Torres Strait Islander languages on Embracing 2018 social media channels and external networks. Include traditional Aboriginal and Torres Strait Islander languages where appropriate in GC2018 activities. The Embracing 2018 Global Education Program to promote Aboriginal and Torres Strait Islander languages across state schools in Queensland. Provide relevant and appropriate Aboriginal and Torres Strait Islander images to support GC2018 documentation and publications. Identify opportunities within the Legacy program to deliver sustainable reconciliation projects within the event and host city. Explore opportunities to ensure Aboriginal and Torres Strait Islander peoples cultures, history and achievements is highlighted as part of GC2018 Ceremonies and Festival 2018 activities. Explore opportunities for the incorporation of Aboriginal and Torres Strait Islander foods into the GC2018 Food Experience. Display the Aboriginal and Torres Strait Islander flags at the Commonwealth Games village, venues, and sporting facilities. Ensure Aboriginal and Torres Strait Islander elements are incorporated into the merchandise range. Explore the incorporation of Yugambeh language for name and areas within the Commonwealth Games village. Explore the incorporation of visible Aboriginal and Torres Strait Islander artwork into the Commonwealth Games athletes village, staff and volunteer uniforms. Ensure recognition and celebration of Aboriginal and Torres Strait Islander cultures within the Commonwealth Games village. Investigate the opportunity to display a welcome sign in the local Yugambeh language at the entry into the Carrara Stadium. Ongoing initiatives to integrate messaging and celebrating of Aboriginal and Torres Strait Islander participation in GC2018 through internal and external communications.  Work closely with the Commonwealth Games Federations (CGF) to explore opportunities to promote Aboriginal and Torres Strait Islander participation in GC2018. Establish a mechanism to connect the local Yugambeh Language Group people of the Gold Coast to Commonwealth Games Associations (CGA’;s) providing an avenue for welcome and to share their own unique cultures and heritage. Explore the opportunity to host a networking event for all Indigenous sports people and athletes participating in GC2018.